We all love less mess chicken recipes. 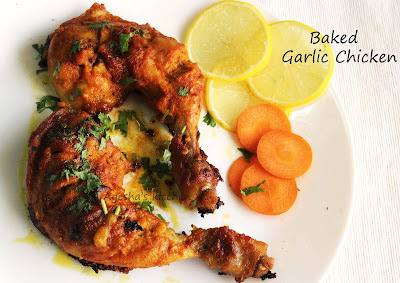 Do bake this chicken recipe which is less mess with more flavor. 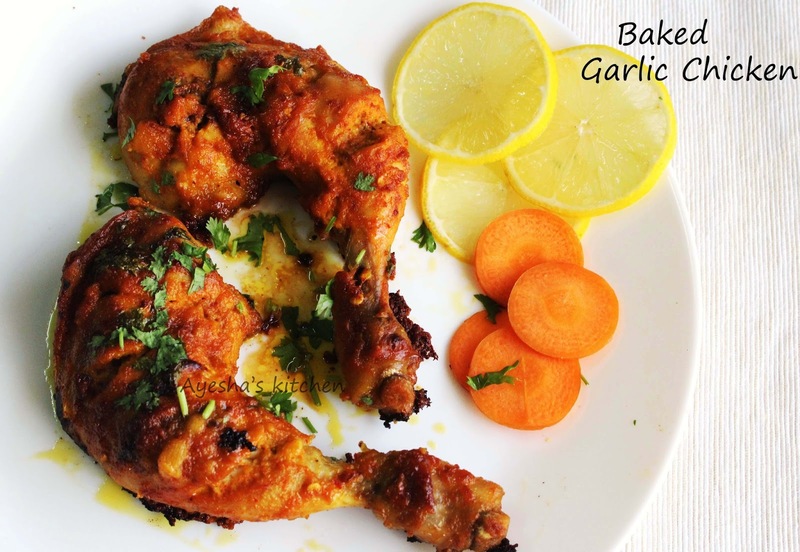 This is a must try recipe for those who love garlicky aroma. Garlic chicken baked with butter, lemon and spices. Here i added softened butter to the marinade while grinding which will reduce the pungent flavor of garlic. Chinese garlic chicken recipe and lemon chicken is a perfect side dish for fried rice and noodles which is favorite ever. 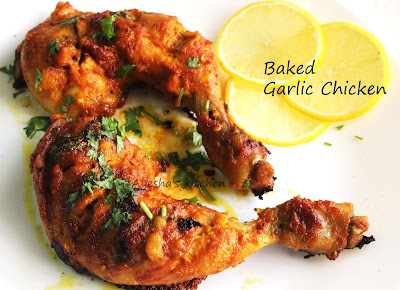 I love chicken seasoning mostly with lemon, garlic and herbs - a classic combination ryt?. 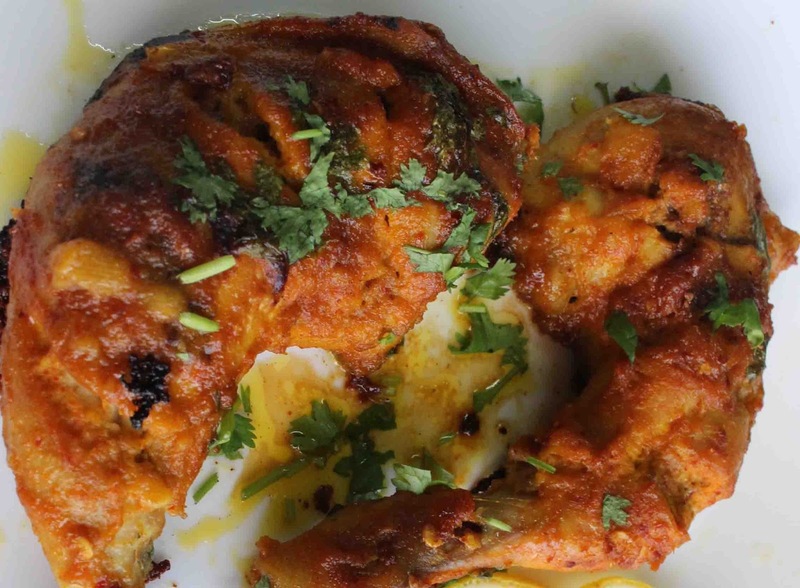 So stay away from fried chicken to enjoy the aromatic flavor with finger licking taste. Here is the recipe showing how to make garlic lemon chicken / garlic chicken baked / baked dinner ideas /baked chicken recipes. Add dried red chili, garlic cloves, butter, paprika/ chili powder, cumin powder, lemon juice, soy sauce, oregano and salt in a grinder and make a fine thick paste paste . Clean and make slits in chicken . Rub the chicken well with this marinade. Place the marinated chicken in a greased foil and grease the chicken with olive oil on both sides. Cover the foil tightly. Place it in a baking tray and bake for 30 minutes. Now take out the foil and spread some chopped coriander over it . Again bake it for another 10 minutes uncovered at 220 degree C.